The news from the Middle East worsens daily into a nightmare scenario—one eerily foretold in 2012 as two young, unlikely Syrian activists launch a radical plan for bringing democracy to their country, besieged by the brutal Bashar al-Assad regime. Under threat of death and armed only with the Internet, they organize when no one else will. University student Razan uses her laptop to coordinate a smuggling network for bringing humanitarian aid and journalists into Syria. Damascus-born Mouaz works his contacts in the West, becoming a primary source for intel carrying dire implications: without external support for the moderate opposition, Syria’s struggle will draw in opportunist hardliners such as ISIS, spread to neighboring countries such as Iraq and dangerously destabilize an entire region. Razan and Mouaz navigate a minefield, facing agonizing decisions of who to aid and who to trust, all while hatching a Trojan-horse plan for a democratically run Syria starting with one free, empowered village and spreading from there. 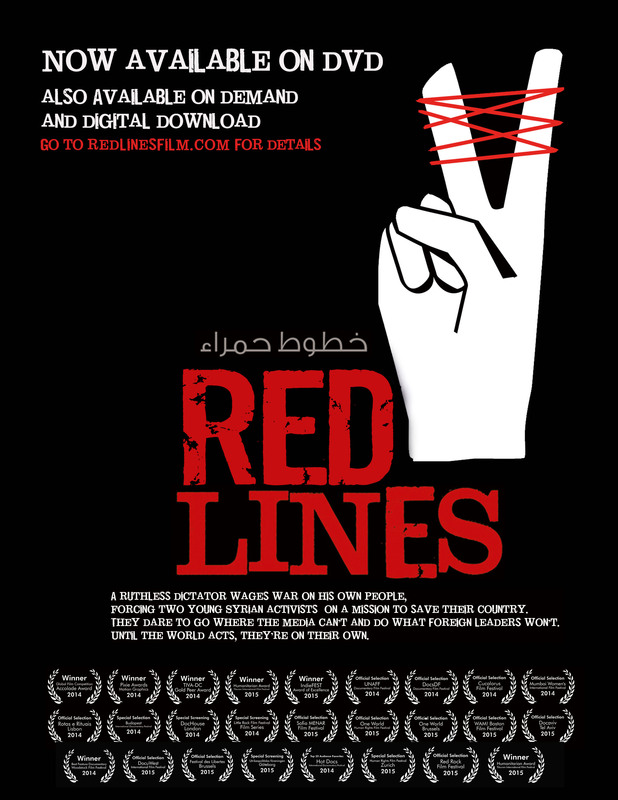 Red Lines is currently available for viewing through video on demand, and is also available on DVD. Order your DVD here. Visit the film’s official website at: www.redlinesfilm.com. We have also completed this video update with Mouaz Moustafa, which helps explain what has happened in Syria since the film was completed production in 2014.